Catering — OddFellows Ice Cream Co. Besides drinks, what would be better than ice cream at a party? If you really want to impress guests with a treat, bring ice cream. Whether you have an office party, birthday, Bat or Bar Mitzvah, wedding or any type of small/large event, we have the capability to cater from 50 to 2,000 people. 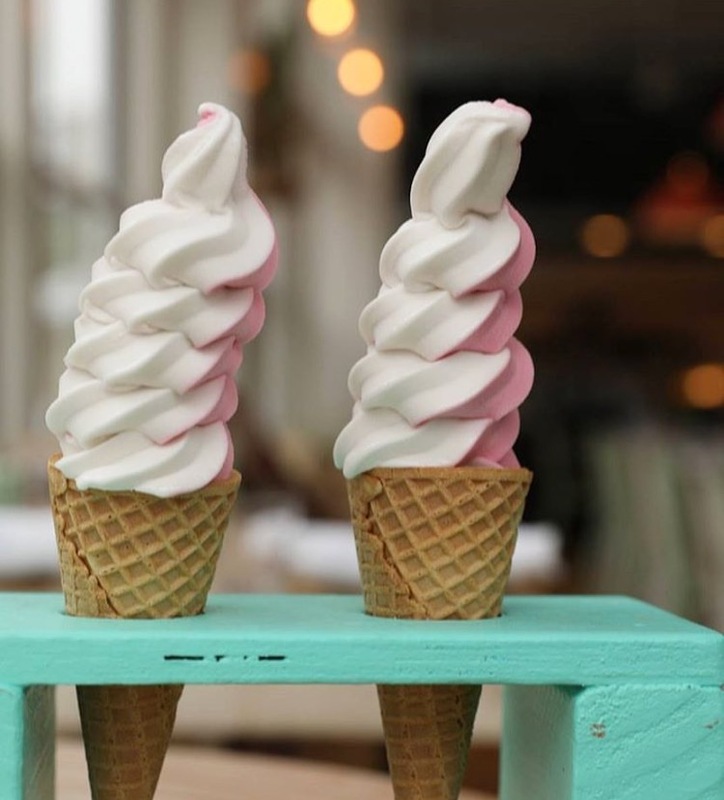 OddFellows can drop off ice cream or provide the full catering service with scoopers on site. We have an ice cream cart that can come to you for a classic ice cream experience. For corporate clients, we have also made one-time custom flavors (like a special Raspberry Coconut ice cream for Marc Jacobs' fragrance release and a Rose Raspberry Pink Peppercorn for Washed Out's album release).